My dear SkywalkerStoryteller, a lot of your haikus have imagery about death. Tell me about this. I don’t think it’s about depression (because you reveal a lot of enthusiasm about things!) – what’s you view on the Here-After? 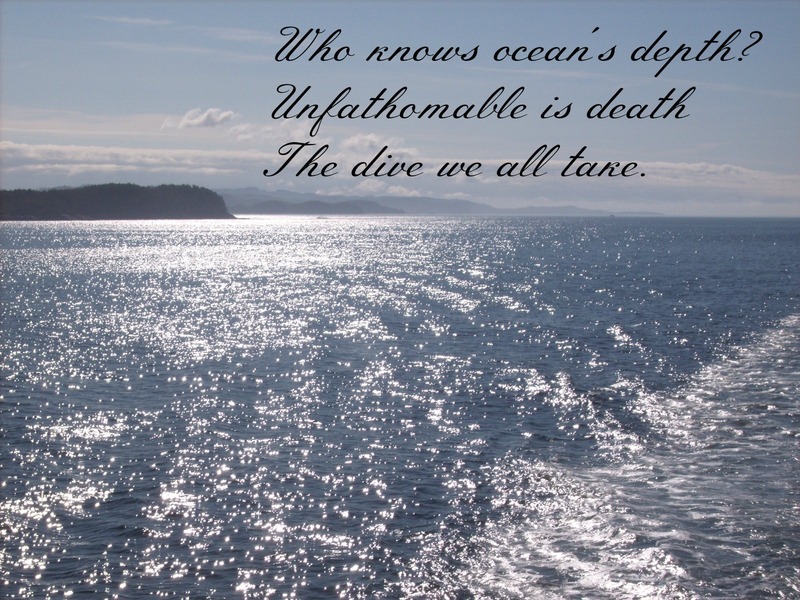 Joann, my original Ultimate Wonder Haiku project was to write 350 haikus on the theme of death. As my e-book is “The Ultimate Wonder, World Stories Illuminating Death.” However, I found myself writing haikus that also reflect life and realized life and death are inextricably linked. And death does not depress me. As for my view on the Here-After, I’m a Budddhist. I believe I’m here for a purpose to purify negative karma, to practice compassion, to advance on the path of enlightenment to be able to truly benefit others. And yes, I believe in reincarnation. So, I know I will be returning again and again, because the quest to achieve enlightenment is a challenge, for one who has accumulated much negative karma in this and past lifetimes. But, I do think most of my haikus try to stimulate reflection, recognition, and acceptance of death as part of life. What a beatuiful haiku. Really love it, thank you!